On Thursday night, several teams laid down the foundation to one day change the landscape of the NBA. These are the biggest winners of the 2018 NBA Draft. The night that many basketball enthusiast were anxiously waiting for has now come to an end. On Thursday night, the NBA welcomed 60 new players to the league in what could be remembered as the one of the more deeper draft classes in recent memory. What that being said, there are several teams that took big steps forward in the right direction. 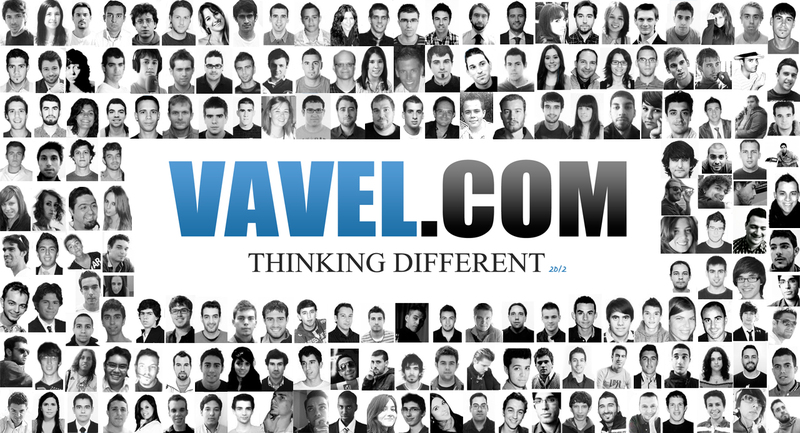 There are also teams that are built strongly that became stronger with the addition of some fresh young talent. These are the biggest winners of the 2018 NBA Draft. Starting the night with the No. 5 pick, the Dallas Mavericks traded with the Atlanta Hawks (who possessed the No. 3 pick) for the draft rights of Luka Doncic, who is widely considered the No. 1 prospect in the draft. Dennis Smith Jr.'s ability to break down defenses should help counterbalance Doncic's lack of clear blow-by ability with the ball. 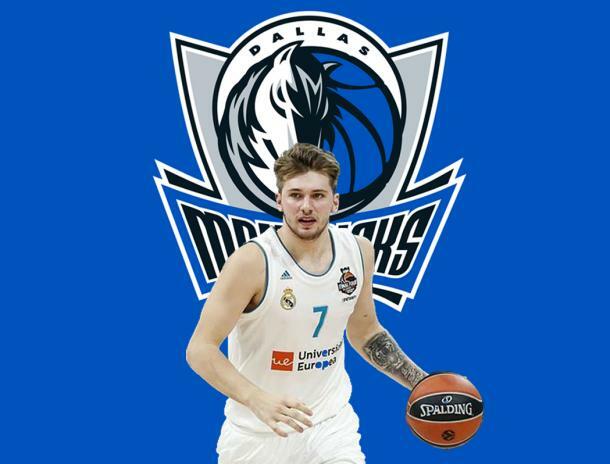 Doncic brings a combination of youth and productivity, and his winning tenure at Real Madrid has shown he's a perfect fit for the pass-dribble-shoot basketball in the modern NBA. The Mavs front court is set for many years to come. 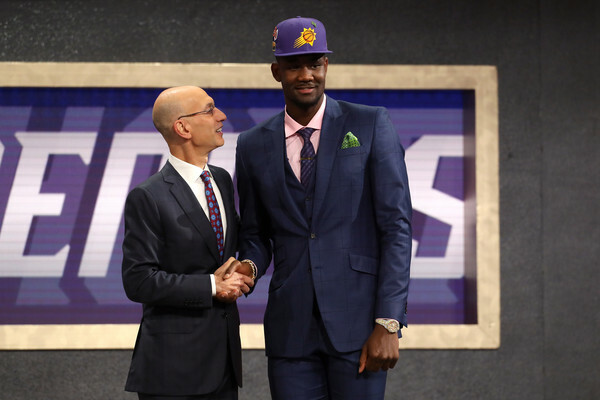 Deandre Ayton poses with Commissioner Adam Silver after being drafted first overall by the Phoenix Suns. The future is as bright as it has ever been in desert. With the selection of Deandre Ayton, all was made right in Phoenix Suns history. They finally have a center that can deliver 20 points and 10 rebounds per night. Ayton possesses physical and athletic abilities, and how he uses them for a player his age. He has the ability to dominate the game in the paint, using his size and strength to finish inside, crash the boards, and protect the rim. Suns fans must be salivating at the thought of a lineup that feature Devin Booker and Ayton at the same time. Phoenix did not just stop there. Later in the first round, the Suns traded the draft rights to point guard Zhaire Smith to the Philadelphia 76ers for the draft rights of Mikal Bridges. Both Ayton and Bridges could make the Suns a very formidable opponent in the upcoming season. 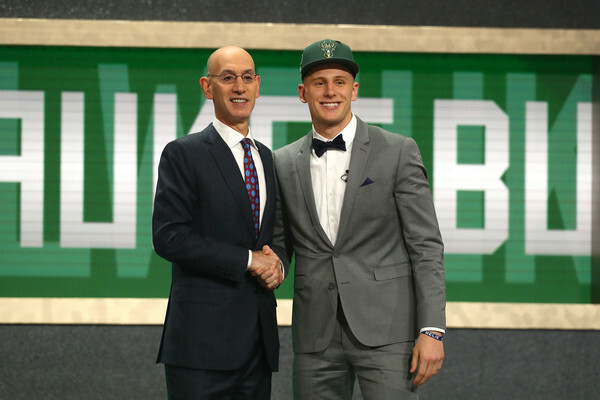 With the addition of Donte DiVincenzo, the Milwaukee Bucks added a two-way player that can handle the ball. DiVincenzo is the type of player who wants to earn his own looks off the bounce and occasionally run the show as a pick-and-roll creator. His 6'6" wingspan limits his positional availability, making it harder for Milwaukee to run out a dual-point guard backcourt comprised of this incoming rookie and Eric Bledsoe. Adding DiVincenzo to a core that includes Giannis Antetokounmpo, Malcolm Brogdon, Khris Middleton, Sterling Brown and Jabari Parker puts him in the perfect situation. The Bucks should climb the ladder of the Eastern Conference and become an even bigger for to be reckoned with. The Jazz just gave Donovan Mitchell some help. However, it comes via his old archenemy. Grayson Allen was one of the most elite shooters of all of college basketball. He can hit clutch threes from just about anywhere from the floor and will add another piece to the Utah Jazz repertoire. Allen a great athlete with excellent shooting form and a quick release, which he showed off while averaging 15.5 points and slashing 41.8/37.0/85.0 as a senior. He will have to work on his defensive skill set if he wants to find greater success in the NBA. The Indiana Pacers' mission this offseason was to find a viable replacement for guard Darren Collison. With the 23rd pick, they did just that. Aaron Holiday comes from a basketball family lineage. Both his mother and his father played college basketball for Arizona State while his sister Lauren played at UCLA. Not to mention his brothers Jrue and Justin Holiday are currently in the NBA. Because of this, you know he has a competitive instinct and probably does't like to lose. Holiday has a strong frame with excellent length (6-7.5 wingspan) despite measuring only 6-0.75 in shoes. He is a good athlete who has the quickness to put pressure on the rim in the half court. Holiday doesn't shy away from contact in traffic as he drives less physical point guards to the basket. Thaddeus Young and Bojan Bogdanovic​ around him. Coming into the Draft, many believed the Celtics would move up and take Donte DiVincenzo. When plans fell through, Danny Ainge and company had to go to plan B. What a plan B it is. 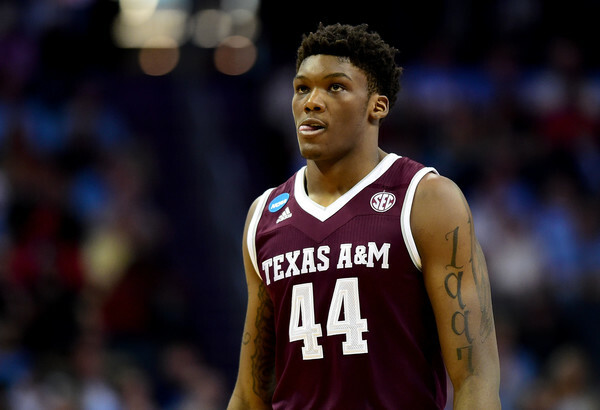 With the selection of Robert Williams, Boston literally has everything they could ask for. Williams can't help but draw comparisons to DeAndre Jordan, thanks to his ridiculous upside as a rim-running center with extreme athleticism. He was a dominant pick-and-roll threat during his brief time at Texas A&M, the kind of player who required constant defensive attention because of his penchant for finishing plays in thunderous fashion if he received even the tiniest modicum of space while cutting toward the hoop. Just for good measure, he also a tremendous shot blocker, blocking 3.9 shots per 40 minutes. If he works out, he could morph into an All-Star center capable of making a Jordan-esque impact. The Celtics could be emerging as the team to beat in the East.